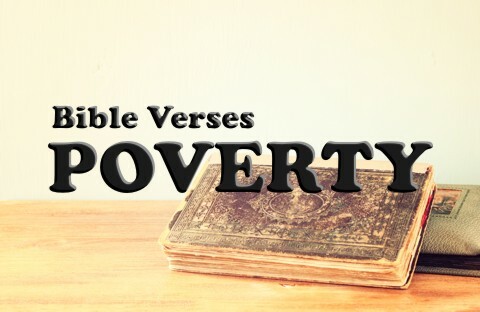 Here are seven Bible verses that address the subject of poverty in the Bible. This law of God shows His heart for the poor and the disenfranchised, like the stranger or sojourners. We too are sojourners in this world and we’re only passing through so we should extend hospitality to the poor and support them in ways that we’re able too. If we do that, as He promised ancient Israel, “he shall live with you.” I need to make it clear that this is not just a brother from his family but a brother or fellow Israelite. After reading Jesus’ teaching on who is our brother and sister (Luke 10:25-37), you won’t ever see anyone who is not your brother or sister. I don’t believe this verse is only talking about speaking up for those who can’t speak but for those, who by reason of their poverty, can’t speak up for themselves because nobody else will. Not many people pay attention to the poor or their plight. Few will listen to their stories but twice in this verse it says we should open our mouth or speak up for the rights of the destitute. We are to love justice and show mercy to the poor, just as God does. If we keep our mouths shut for their cause, who will defend the rights of the poor and needy? Sometimes it’s just a matter of making people aware of the problem. To say nothing, is a serious sin of omission, as James wrote “So whoever knows the right thing to do and fails to do it, for him it is sin” (James 4:17). People believe they can’t help because poverty’s such a huge problem. There’s just so much to do that most will choose nothing to do. This verse is a lot about helping your neighbor who “may live beside you” or just someone you know but what must really anger God is if their neighbor is poor and someone takes advantage of them. When we’ve been blessed by so much, we should give without expecting in return. To go so far as to lend to a neighbor and charge interest is evil in God’s eyes. Would you charge your spouse or child interest if you loaned them money? I would hope not. It’s even worse when the poor seek a way out and those who are supposed to help them end up making a profit from them. When we are the cause for our own poverty, we have no excuse. We love sleep more than food. We will always be in a state of want. This should never be said about any believer as Paul writes “if anyone does not provide for his relatives, and especially for members of his household, he has denied the faith and is worse than an unbeliever” (1 Tim 6:8). If there is someone we’re responsible for, then God will hold us even more accountable. Again, more on the beautifully merciful law of God, commanded to protect those who must sell themselves into servitude due to circumstances beyond their control. The law says that they should not be treated as a slave but as a hired worker, meaning they should get something for their work and be treated with dignity. When the year of Jubilee came, then these people were allowed to go back home and be freed from their debt. That law served to protect the poor from indentured servitude for the rest of their lives. This could easily be innocent victims who ended up living in poverty which could have come from the death of the husband or sons. I love the optimism of the psalmist here as he writes that he has never seen the righteous forsaken but even more, he’s never seen their children have to beg for bread. The implications are that God brings them bread and especially for those who are righteous in God’s sight, regardless of age. There is so much poverty in this world that you and I are probably tempted to do nothing but the greatest need is for Christ as He alone satisfies the soul and causes us to never thirst again or hunger again for He is the Bread of Eternal Life (John 6:27, 35). We only need to repent of our sins and then turn away from them, and turn to Christ and place your trust in Him because we know “the Scripture says, “Everyone who believes in him will not be put to shame” (Rom 10:11). More to read: What Does the Bible Say About Helping the Poor? Previous post: What Is The Biblical Definition Of Holy?